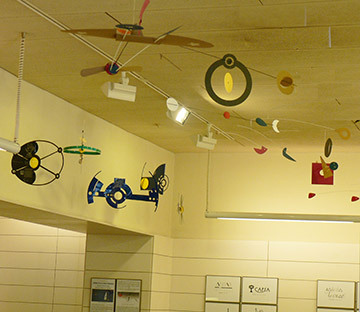 This exhibition shows a selection of three-dimensional creations by Joan Pedragosa, focused on its mobile production and accompanied by small format sculptures and promotional elements. Likewise, he includes some of his best work as a graphic designer. 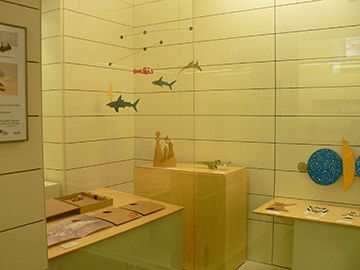 The exhibition aims to publicize one of the lesser-known facets of the designer, as a continuation of the exhibition held in 2006 at the Badalona Museum and the exhibition on his graphic work that took place at the Biblioteca de Cataluña in 2010, where deposited all the designer's documentation.